WebShakers bags the Digital Advertising Mandate of SaffronStays, an operating network of private leisure homes. WebShakers, a full service agency specializing in digital marketing has expanded its clientele by adding the industry of hospitality. 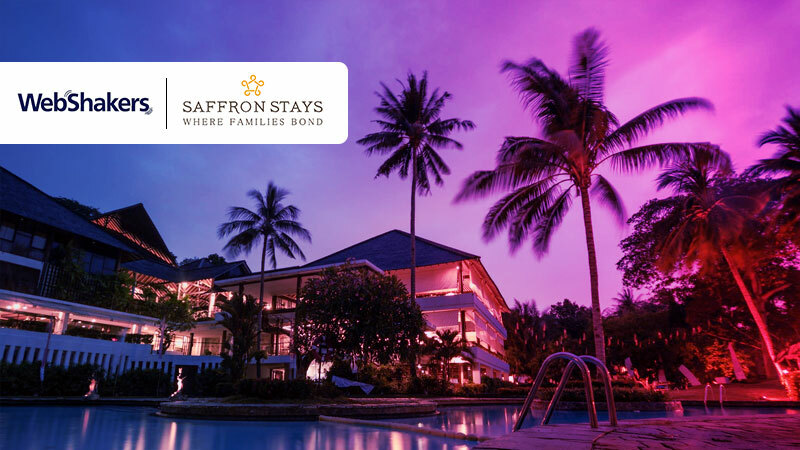 SaffronStays is a micro-hospitality collective, operating a network of over 85 private leisure homes, all hand-picked and curated for an enhanced holiday experience. It is known for going the extra mile with added amenities like local cooks dishing out personalized meals, concierge services. Starting out simply as a platform of homestays, it now partners with Home Owners and monetizes their estates by turning their idle investments into earning assets. additional services like remarketing, google analytics, lead tracking and website optimization. “SaffronStays is a perfect blend of luxury private villas and personalized hospitality services. Deven Parulkar and Tejas Parulkar, have channelized all their efforts to make it a grand success that it is today. Their impeccable services and supremely comfortable uber luxury homes reflect what they stand for. As an agency, we shall provide them with all the tools of digital success”. Says Hiloni Punatar, the Founder and CEO of WebShakers.